So why should we start in this case? And you need to start with the reasons. It should be remembered that the main responder for digestion is our bile. It is this that determines the quality of digestion with all the circumstances arising from this. How to improve health after the holidays. My beloved grandfather — a military doctor liked to repeat: “Remember, son: you need to eat and go to the toilet with pleasure.” Modern gastronomic doctrines 90% deprived us of the first and second states. As a rule, in the morning we barely have time to shove something in your mouth and drink something with it. In the afternoon — fill the stomach with fast food and drink something again. And now, during the dinner, we “hang out” in full and, barely breathing, we crawl to the sofa or bed in order to meet the gloomy dawn in nightmares. This, so to speak, is our daily routine. Therefore, most people are waiting for the holidays, waiting with a loud and quiet joy — I would rather eat up all sorts of yummy. Therefore, it is time to take a gastronomic timeout. To get started, take 1 tsp. baking soda, dissolve it in 0.5 l of warm boiled water and at 10-10: 30 in the morning drink this homemade mineral water in small sips. After that, lie down quietly for 20-30 minutes and, despite the weather, go for a walk. There is no need to run, but there is no need to “crawl” either. After walking for at least 30 minutes, go back home. Repeat the reception homemade mineral water. But now in the amount of 200 ml (0.5 tsp. Of soda per 1 cup of water), adding 0.5 tsp. liquid honey. At 13-13: 30 I strongly recommend eating any simple fish soup. In the afternoon snack, you can taste a bunch of dried fruit, or cranberry jelly, or any jam from jam. If enough willpower — dinner, give the enemy or neighbor. If not enough — you can eat 1-2 baked potatoes or 1 baked apple with honey. And make yourself gulls from lime blossom, chamomile, lemon balm or mint. And now the next day you can move on to the preparation and eating of our author’s super-loss «Lose Weight». How to get rid of 3-5 kg ​​in 3 days? The task is not only relevant, but easily accomplished. Another deception? — you say. And no! I offer you a recipe super-soup «Lose Weight». Eating only him for 3 days without restrictions, you just say goodbye to those extra pounds. For its preparation you will need: medium leek — 1 pc . ; medium carrots — 1 pc . ; celery stalks or root — 200 g; medium-salted cucumber — 1 pc . ; black or white beans in their own juice — 1 can (200 g). Cooking method. Thoroughly wash leeks. Dry with a kitchen towel and chop finely. In a saucepan in which the soup will boil, pour 50 ml of any refined vegetable oil. After the oil warms up, lay the shredded onions in turn, then finely chopped carrots, celery and cucumber. Mix the contents, add there quite a bit of sugar. As soon as the vegetables give the juice, cover the dishes with a lid for 5-7 minutes. Reduce the degree of heating to a minimum. After 5 minutes, add beans from the jar. We bring the volume of soup with purified water to 3-3.5 liters. After 3-5 minutes of boiling the soup can be turned off. Now you need to let it stand for another 10-15 minutes. “Lose Weight” supersup can be served with low-fat sour cream if you prefer hot dishes first course. It is also very tasty and cold with the addition of yoghurt or ryazhenka. To this soup, croutons from bran bread, rye crackers, any non-yeast bread perfectly fit. I would like to draw your attention to the fact that the super slim “Lose Weight” is an excellent intestinal cleanser. 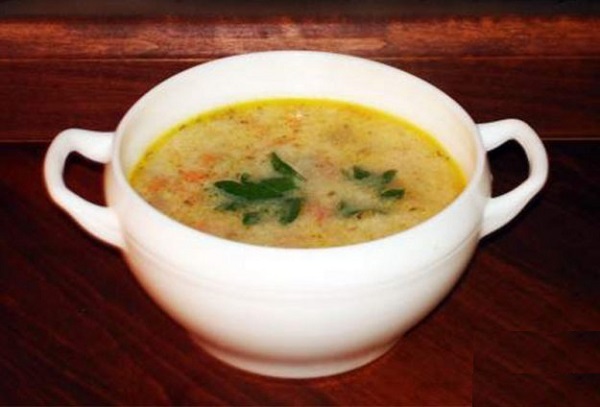 This already well-known soup will not only allow you to get rid of extra “holiday” kilograms. But also noticeably improve the function of the liver, and accordingly, the bile. Three days of such a diet will give you the opportunity to happily and confidently and without problems to enter the normal working life. Another powerful recipe for restoring the outflow of bile after a feast. Also for cleansing the liver and gall bladder after a feast, I can recommend another well-known method. He is about 250-300 years old. This is a method of purse heat. Need to take 2 tbsp. l Salt Put them in the center of the handkerchief. Tie opposite ends. Form a pouch. This pouch should be put on a dry frying pan. Put on the fire. Heat to such a temperature that, putting a pouch on the back of your hand, feel the pleasant warmth. Warm pouch should be applied to areas that correspond to the gastric tract. They are located on the face, behind the ear and on the skull. 1. The area of ​​the gallbladder is under the lower border of the orbit of the eye on the cheekbone of the right cheek. To this place you need to attach a pouch for 2 minutes. It will be a good help to your gall bladder. 2. The second technique is also very simple. Need to take your right ear. Bend it, and for him. That is, on the border of the bone and auricle. Where the surface is not overgrown with hair. Apply warm pouch for 2-3 minutes. Naturally, at this moment reflexively simultaneously with the cleansing of bile, the liver is also refined. 3. But for this, in order to help your liver even more, a warm pouch should be applied in the forehead area. Namely — on the right side on the border of the forehead and the temporal lobe. Also for 2-3 minutes. Thus, at home on the morning after a prolonged feast, you can wonderfully help yourself in cleaning the gallbladder and your liver. Even without resorting to chemicals.